Accidents will happen. But there are no excuses when it comes to food safety. Whether you’re a full service restaurant, a quick-serve operation, or a convenience store offering food service, your customers expect to eat food that’s been stored, cooked and served properly. Just tacking up signs in your employee restroom reading “All employees must wash their hands before leaving the restroom” is not enough. With health inspection grades available online for your customers to see like the scarlet letter, it’s imperative to have a clear and comprehensive food safety training program. The basics of food safety training include teaching employees to practice good sanitation, first and foremost. Remind employees one case of food poisoning or food-borne illness can close a business—meaning an end to their jobs. Post instructions on proper hand washing techniques next to the hand sink in as many languages as needed. For positions where gloves are required, train employees to change them frequently. Food safety training must also include teaching your employees how food-borne illnesses are transmitted. Additionally, employee safety, primarily around safe knife usage will be a cost-saver as well. Ensure cutting gloves are worn, knives are kept sharp and cutting boards are used. Ensure the cutting boards are color-coded to prevent cross-contamination. Change out the cutting boards each time you begin prepping a new item. You also need to train employees on the signs of bacterial infections— nausea, severe abdominal pain, diarrhea or jaundice. These infections not only affect your customers, but other employees as well. You’re not going to run an efficient and cost-effective business with half your staff out sick. You’ll have to either train new help— always an expensive endeavor—or pay costly overtime to healthy employees. 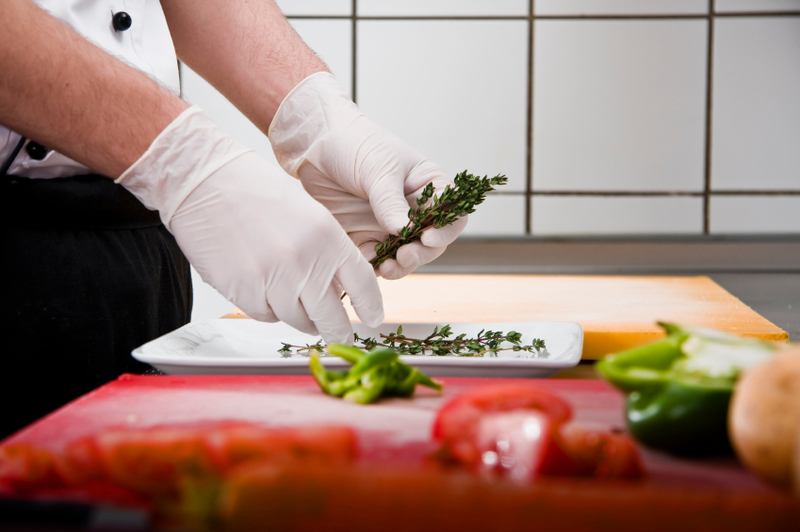 The key word to remember when setting up and maintaining a food safety training program is “prevention.” Sound sanitation practices must be adhered to from the time your food is ordered from your supplier to the time it’s served to your customers. In addition, strict and definitive cleaning schedules must be established to ensure a safe and sanitary work environment. You can remove soil from any surface—that’s cleaning. Removing bacteria, however, requires “sanitizing,” and it’s important that your employees understand the difference. The bottom line is that an accident involving food safety is no accident. What’s the cost of properly training employees versus the cost of bad publicity and, therefore, lost customers, because of a food-related incident?